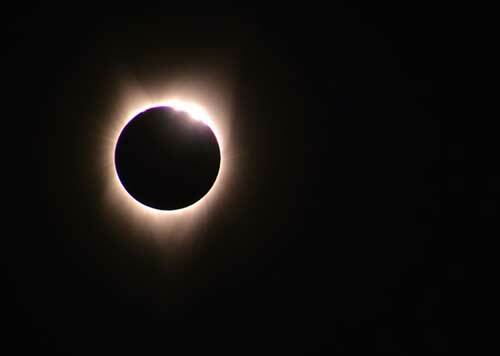 Well this week following the last two weeks of travel and conferences and the eclipse has mostly dealt with news items and looking over other images and discussion of the eclipse and actually trying to get back on schedule with the astrophysics study courses. First up is a photo sent in by OCA Science Nerd and Theatre Impressario, Scott, who was able to capture a great diamond ring with his 600mm equivalent camera. That is fantastic! Thanks for that Scott! We saw a diamond ring in Casper, WY, but did not succeed in getting a photo. 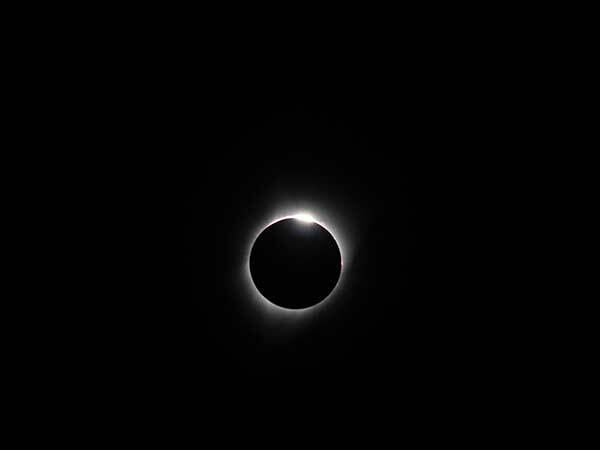 Second up is a photo sent in from CSULB Old Ben and wife, which was taken in Madras, Oregon. Wow, that is another great photo! Thanks for that Ben! Other images by other OCA members are starting to show up too! Looking great, folks! 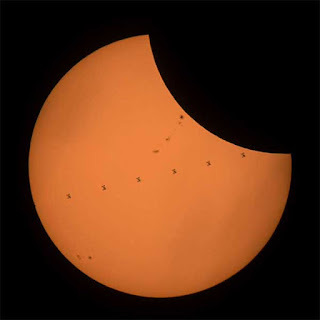 Third up is a news photo first sent to me by Sister Ilene which shows the International Space Station (ISS) shadow as its orbit carries it passed the moon during the August 21 eclipse. Pretty neat, thanks for that Ilene! Ilene had asked if any of the images we took showed the ISS crossing the moon? Well, it doesn't seem likely since the ISS is speeding so fast and is so close to the Earth compared to the moon that it must whiz past in just a couple of seconds. 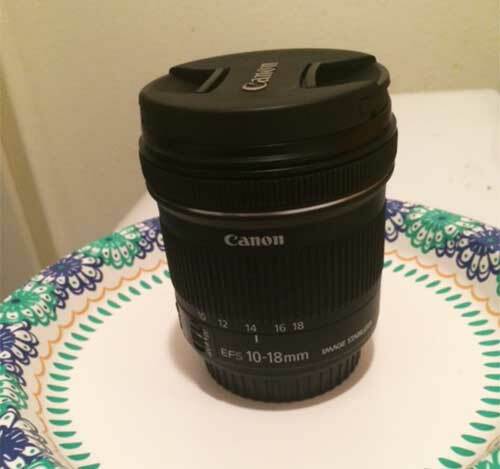 We would have to have been very lucky to capture that event. But his photo, courtesy of NASA/Joel Kowsky, is a composite of several images taken at Banner, WY and did just that. If you want to try to do the same thing you don't have to wait for the next eclipse because the ISS crosses the moon and the sun quite often so all you have to do is wait for the proper time and location to make the observation. Check out the following website that lets you enter the latitude and longitude of your location and it will calculate the next time the two objects are aligned. I tried it for our location here at the observatory and it seems the next occurrence will be some time in September and the transit time is about 2 seconds. We are quite busy in September and since you almost need to use a video camera with very good timing to catch the transit so I don't think I'll put that on my observing calendar. What this suggests though is that just like capturing an airplane crossing the full moon, as described in our post of October 29, 2015, it will perhaps be easier to capture an airplane shadow crossing in front of the sun. At our location, it should be relatively easy to just wait for the sun to be in the air traffic lane coming from SNA or LAX and snap its picture Now, that is something I'm putting on the observing calendar. Stay tuned! Another interesting news item has to do with the moon's shadow during the eclipse. Our previous posts on August 21 and August 23 showed images of the landscape as the eclipse happened in Casper, WY, and yet still pictures don't quite convey the impression as the sky grows gradually darker. The referenced youtube video submitted by Tom Munneke, shows the sky and background darken, as photographed by his drone during the eclipse. Pretty neat! Thanks for that Tom! Finally two news items on the astrophysics study front. First, after taking a couple of images of the Milky Way in the dark skies around Casper, it dawned on me that I didn't have enough field of view with the current DSLR lens kit, so my friends at Amazon kindly delivered a new wide angle, 10-18mm lens, which should be great at getting really wide fields of view to capture more of the Milky Way. Now all we need is some more great dark skies! Secondly, the screenshot below shows a very interesting homework problem for those of us signed up for the Astrophysics: The Violent Universe free course at www.edX.org. This homework shows simulated light curves and Doppler shifted spectra for an object in space. 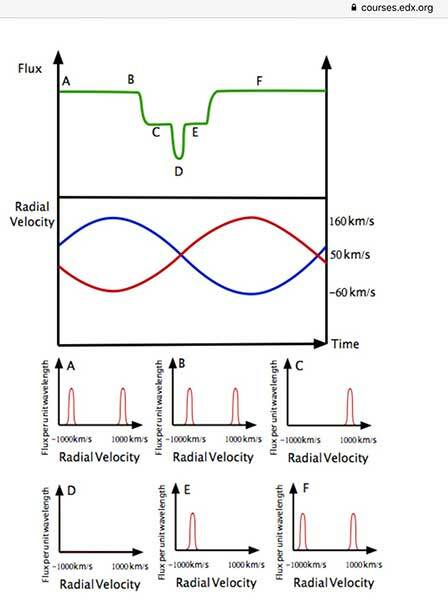 The Doppler shift tells us whether the object is approaching us or moving away from us. The light curves are periodic which suggests some sort of binary system, which includes transits and the velocity curve tell something about the nature of the orbiting pair. But what? I'm still working through how to interpret this kind of data. So, if this type of thing interests you, be sure to go online and try the course out at your own schedule. Pretty neat how much information we can get just by looking at the light from distant space objects!